God's Final Victory addresses the ongoing controversy concerning which doctrine is more defensible: the doctrine of hell or the doctrine of universal salvation. Would the just and loving God of traditional Christianity ever cause or allow some creatures to endure hell, that is, eternal alienation from both God and the blessed? Many think the answer is yes. Some defend this answer by arguing that God is not only loving but also just, and that eternal damnation is sometimes the only way God can meet the demands of justice with respect to sin. Others argue that, out of respect for creatures, God affords them the freedom to choose their destiny-and some choose eternal alienation from God. 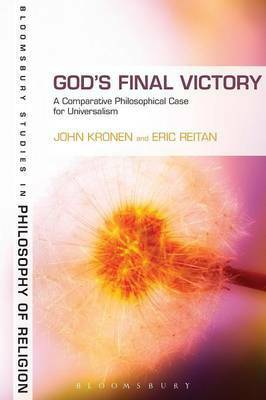 God's Final Victory examines the presuppositions underlying both lines of argument and finds that, once understood in their most defensible form, they offer good reason to suppose God would save all if He could and no compelling reason to suppose that He would or could not. As such, even conservative Christians should believe in universal salvation.